What they say about people is true in case of automobiles as well: “First impressions make all the difference.” Globally, vehicle design is a strategic differentiator to draw customers into a brand. 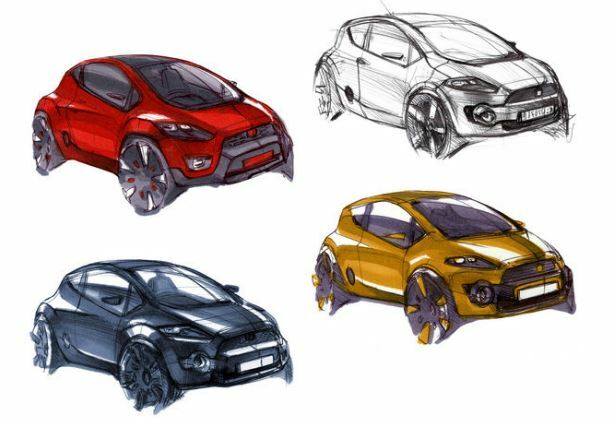 Though car design in India is at a nascent stage, automobile companies in the country are ramping up their design capabilities to suit evolving market and customer lifestyle trends. Observing trends and customer expectations are a continuous process that will profoundly impact the design and development of cars. Thus, automakers employ trained trend analysts, who are entrusted with the responsibility of assessing socio-economic insights from the market. Trend analysis starts years before a car is developed. Analysts have observed that an exterior of a car has an instant impact on consumers, a trend that will only grow in the years to come. Hence, visually, it should be powerful enough to draw them to the showroom, be it physical or digital, initiating a buying decision. Interior design must follow suit in the attraction matrix. But ergonomics of a car should also balance elements such as space, comfort, convenience, and safety. Consumer trends indicate that comfort of the seat, thigh support and lumber support, are all related to the comfort and attentiveness of the driver. An uncomfortable seat could lead to discomfort and fatigue in the driver and in many cases, this has been a cause of accidents. Elements such as the touch screen on the dashboard should be designed in such a way that it is within the reach of the driver, irrespective of his/her height. The complexity on the screen menu matters as well: how many levels does the driver has to go through to change temperature or music in the car. Hard buttons or knobs for changing the volume need to exist designed ergonomically and keeping perceived design quality in mind. Analysts have observed that an exterior of a car has an instant impact on consumers, a trend that will only grow in the years to come. Instead of including them on the touch screen, making it easy to operate, while driving and keeping one’s eyes on the road. Design is all about attention to detail and understanding customer’s changing behaviours. Trends suggest that ISOFIX – a safety standard practiced in western countries, will soon gain momentum in India. Considering the international exposure of new-age car owners in the country, most automakers hope that this safety culture will be imbibed in family-owned passenger cars, thus introducing the design trend of ISOFIX in Indian cars. Furthermore, given the proliferation of coffee chains in the country, which weren’t around three to four years ago, an increasing number of professionals who drive to work almost every day, will prefer cars with suitably sized cup holders. Absence of these essentials could lead to disappointment or irritation among consumers. Safety, comfort, and convenience will truly drive the trend for ergonomics in the forthcoming years. When it comes to interior color of a vehicle, black is in vogue. Part of our trend analysis and cycle indicates that it is viewed as a reflection of premium design, lighter hues, however, will replace this trend in the future. Over decades, the Utility Vehicle (UV) segment has grown exponentially. From the stylish or compact MPVs to premium and luxury SUVs, the segment has witnessed vehicles with different kind of looks – a trend that will continue for three to four years. Trends suggest that ISOFIX – a safety standard practiced in western countries, will soon gain momentum in India. In terms of design, UVs are surely heading for improvement and innovation. A unique trend forecast is that UV characteristics such as higher seats and robust look will trickle into other segments. This means that in the next four to five years, a hybrid, which is a combination of key features from respective segments such as a sedan or a hatchback, along with that of a UV, will give birth to the next generation of cars. What is a good learning is that female consumers are also going to influence UV designs going forward. In India, women consumers are increasingly inclining toward the segment. However, they have complaints with the physical maneuverability of driving a SUV, which is traditionally on the heavier side. To meet the comfort needs of this growing customer cohort, automobile companies will have to opt for monocoque construction, instead of the usual body-on-frame method of design traditionally employed for larger UVs. This trend will make the SUV much lighter in weight, and drivability won’t be a problem for women. Eventually, the whole category will rapidly change from using body-on-frame to monocoque technique. Designing electric vehicles (EVs) is an art. With India aiming for 100 per cent e-mobility by 2030, it sets the trend for light vehicles in the market. There are two types of EVs. The first type is: electrified, which is a usual Internal Combustion (IC) engine car converted into an EV by replacing the IC with an electric power train. This is how most of the first generation EV cars will be created. In India, women consumers are increasingly inclining toward the UV segment. The second type is the ‘born’ or ground up EVs – developed from scratch – the gen-next car. Following an entirely different architecture, these kind of EVs will have design elements such as a lower front hood, and longer wheel bases to accommodate battery packs, therefore, providing an optimization of different level. Aerodynamics will play a key role in EVs when it comes to material used on the outside. Though carbon fibre absorbs energy and makes energy of its own, it is an expensive material used mostly in high-end luxury cars. But if an automobile company is a volume player, then its designers will have to opt for alternate light weight and cost-effective materials such as aluminum and other composites. Moreover, in a normal IC engine car, the engine is placed in the front hood, becoming part of the crash absorbtion system, whereas the front area of an EV is usually empty. Car designers will have to mull over the placement of the batteries, in the electrified version to ensure impact durability and distribute weight. Given that brakes can also generate electric energy in an EV, design will play a critical role, especially for optimising speed level for an easy ride on the highway. These trends promise a whole new exciting phase for the automobile industry, wherein design preferences of consumers will influence sales and drive profitability. We at Exact designs do exactly what customer desires. We are really excited to serve you better with our best quality and on time delivery. We all are professionals with experience more then 13-15 years in Alias Modelling, automotive surfacing Modelling, Photorealistic CG Modeling & Renders. well versed with the latest happening on the globe in each category, to provide you Advance services.